When you buy baked goods, you will find nutritional information on the package. 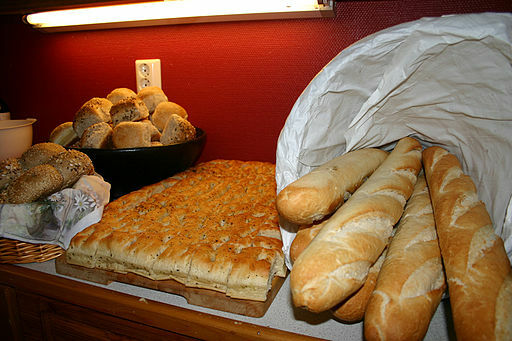 However, in the case of homemade baked products, it is essential to compute the amount of ingredients prior to baking. This article will show you how to determine nutritional facts in home baked goods. The first step is writing down each recipe ingredient and the amount needed. The label of each ingredient should be referenced to know the carbohydrates, calories, and other nutrients needed to bake a food product. The numbers should be written next to the applicable ingredients. The next step is to add up the calories required for each ingredient. The same process should be repeated for carbohydrates, as well as other nutrients. Next, determine the nutrients per serving. The amount of servings in the recipe should be determined and then each nutrient divided by that number. The resulting number is equivalent to the nutritional value applicable to each serving. Another essential point is on saving the nutritional labels. Doing so is vital in saving time, especially if you have plans of making the recipes in the future. Either the original paper or a new separate sheet is saved. Alternatively, the labels can be saved using a computer. Recipe boxes are a great place to keep them and they can be placed with the recipe itself. Accuracy is another essential aspect to remember. It is essential to make sure that the each serving’s nutritional information is accurate and correct. It is advisable to weigh baked goods. For foods such as cake or bread, weighing the finished product is recommended. For muffins, cookies, and other baked foods, it is advisable to weigh the dough or batter.